Is Naresh Goyal’s Jet Airways going to shut down? No one has an idea. After putting up a brave face for months and saying the beleaguered airline would be revived, bankers seem to have had a change of heart. Now, they don’t seem to be convinced that throwing more good money after bad is a good idea. Has the bidding process gone awry, or are there actually any bidders? Again, no one has any clue. In the absence of any information from SBI Caps, everyone seems to be in the dark. And, with the number of flights reduced to a trickle, most potential investors are likely to have a rethink. Amid all this confusion, customers and employees are suffering the most. Employees are stranded without salaries for months, and while some airlines like IndiGo are hiring, it is impossible to imagine that 18,000 to 20,000 people will be absorbed. And then, there are hapless passengers who might have booked months ago. 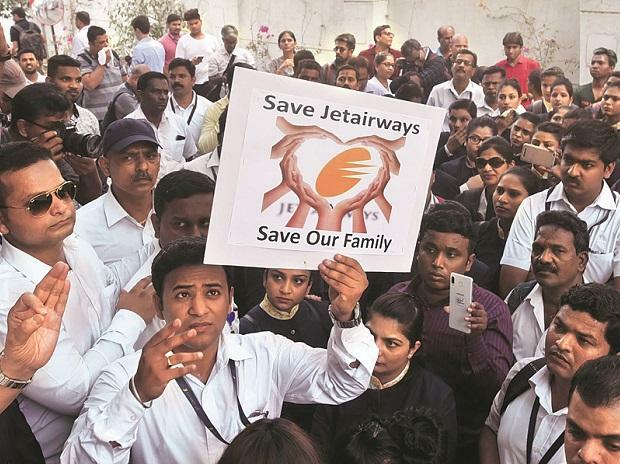 Reports suggest that Jet owes over Rs 3,500 crore to passengers for cancelled tickets. It is not a small amount, given that CEO Vinay Dube has been seeking an additional loan of Rs 1,000 crore from bankers to keep the airline afloat, and Jet’s total debt is Rs 8,100 crore. Refunds have been late, and sometimes partial, depending on the situation. But the worst part is the cost escalation if a passenger has to book in another airline. Of course, due to this lack of clarity over the resumption of operations or shutdown, the stock price has only fallen in the past few days after moving up before. The stock has been oscillating between Rs 214 and Rs 280 a share since the beginning of the year. In fact, the stock’s 52-week high and low are Rs 651 and Rs 162, respectively. While this has been going on for months, the regulator – the Directorate General of Civil Aviation – has made only a comment or two. It has asked other airlines to keep fares ‘as low as possible’. And it is preparing a report on the airline. But, isn’t it time DGCA came out with a comprehensive statement that passengers should not book Jet Airways flight tickets till its financial woes are resolved? Or, to be more emphatic, should it not suspend the airline’s operations till it gives a proper revival plan to the regulator”? It’s a good time to remember the mayhem Kingfisher Airlines left behind when it shut in 2012 — unpaid provident funds, medical insurance, taxes deducted from employees, besides not paying salaries for months and years. An employee’s wife killed herself because he was not paid for six months. Let’s not wait for things to get worse.